Singaporean Prime Minister Lee Hsien Loong sued blogger Roy Ngerng for defamation in connection to a blog article alleging that the leader was involved in corruption. A few days later, Roy was hit with a defamation suit from the lawyers of PM Lee. Although Roy apologized and offered to remove the offending blog post, his apology was rejected after it was discovered that he sent alternative links and a video recording to local and international media reporters. Hello everyone, thank you for your support and well-wishes. It has been an arduous two weeks. I am doing well so far. Last Sunday, the Singapore prime minister issued a letter of demand to me for defamation. I have thus far acceded to the requests of the prime minister to remove several of the articles that I had written and a video that I made. I have also offered the Prime Minister my apology. The Prime Minister, through his lawyers, has rejected my offer of damages in the amount of S$5000.00. The case will now go before the courts. The case will now essentially focus on a hearing involving assessment of damages since I have already apologised. It will ultimately involve cross-examination of the Prime Minister on the quantum of damages. 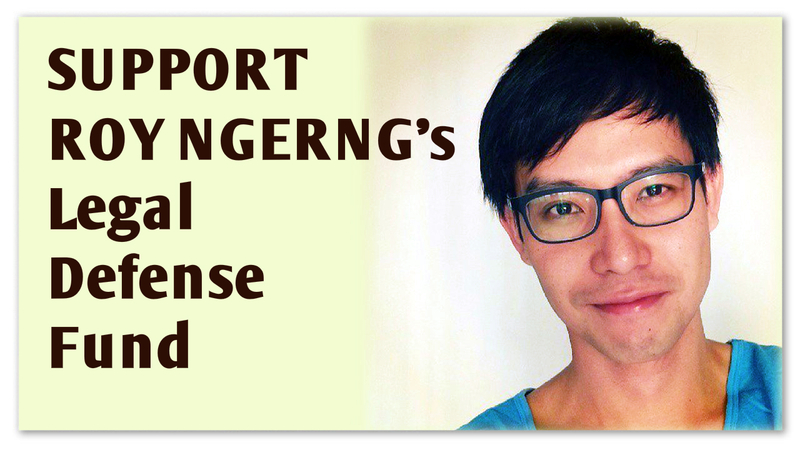 As of May 30, 2014, Roy had raised $14,596 of the $70,000 Singaporean dollars he will need for his legal defense fund. It is clear that your client has always known that the allegation of criminal misappropriation against our client is false, but chose nonetheless to publish it in a sensational manner, so as to raise his public profile and to gain support. He always intended to and did opportunistically use the occasion of our client's lawful and legitimate demand to raise his public profile, garner support and sympathy and renew his attack against our client. To me it is laughable to suggest Roy could defame the PM with his blog posts. How many readers of his blog are so inane to only read him and not others including expert views before making up their own minds. We are no longer in the Middle Ages or a very undeveloped country where people believe and spread silly rumors. Why make that blogger a martyr? There is nothing for him to lose and much more for the PM to lose. At most, the blogger is declared a bankrupt but he has just woken the masses. I believe the PM is in a dilemma. PM Lee will likely win in the court of law. Not because the court is biased, but simply because Roy has no proof of criminal misappropriation. ‘Fair comment’ is not going to cut it. But Pm Lee is going to lose in the court of public opinion. He’ll be seen as a righteous bully, a petty, oversensitive and out of touch old man. I’m looking for someone with more substance – someone more credible, someone who keeps his word, someone who knows when to “cease and desist” when things are clearly not in his favor. …Are defamation actions by members of the government intended to restore their damaged reputation or to inoculate society from disagreeable public intellectuals? Do they serve more to punish the recalcitrant, the undisciplined, the outspoken; the ‘troublemakers’ as the first Prime Minister liked to call them? Are crippling financial burdens imposed by damages a means of crippling popular dissent? Mr. Roy Ngerng’s articles can be and ought to be refuted by the Prime Minister for any misinformation or lapses in communication. That needs to be done for public good. Criticism of key institutions, including the Office of the Prime Minister, is best addressed through a right of reply by way of well-reasoned rebuttals, not by this reliance on the archaic legal action as a first recourse. 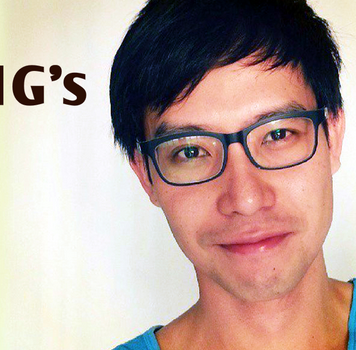 If the article in question by Mr Roy Ngerng was incorrect, then the better thing to do is to rebut him in public. Threatening to take legal action against him will not convince the public that he is wrong or that the Prime Minister is right. Very few people in Singapore have publicly sided with Roy on the issue of the CPF. But many are concerned about the PM's pursuing a defamation suit against a largely unknown blogger and its worrying impact on free speech in the country. Pingback: Defamation Suits Used to Bludgeon Southeast Asian Bloggers and Independent Press « What's on my mind!